The fascination in Hollywood on artificial intelligence is already well-documented, and the end-result typically comes to the same conclusion: robots are evil. But over the past few months, we’ve seen an interest in the emotional connection between man and machine, sparking a real-world debate over just how intelligent we’re willing to make our robot overlords. 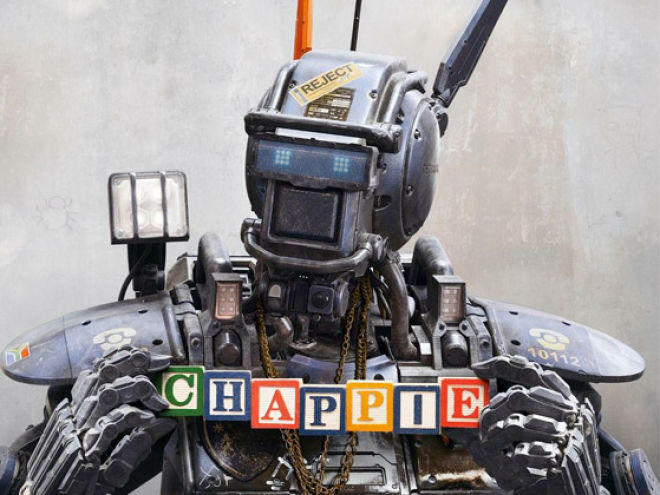 Chappie, the new film from District 9 director Neill Blomkamp, is the next sci-fi adventure to examine our imminent robot future. The difference, however, is that the film wants viewers to show empathy for the robot character as he struggles to grasp his human feelings. He’s basically a kid, and looks at the world through the same lens of wonderment and awe. We’ve seen similar themes hit the big screen before, but Blomkamp’s film looks like it might hit a higher emotional plane. Just seeing the robot get bullied—and seeing it react like a real human would—is enough to have me hooked. And this is only a trailer. The movie is set to hit theaters on March 6, 2015, and stars Dev Patel, Hugh Jackman and famous South African electro-rap duo Die Antwoord (otherwise known as Ninja and Yo-landi Vi$$er). I haven’t been this excited for a robot character since Iron Giant.